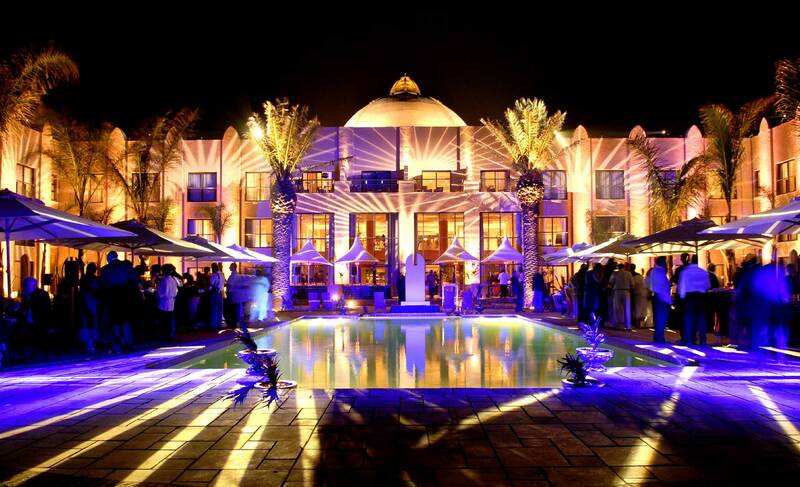 Sibaya Entertainment Kingdom is a 21st-century architectural masterpiece built in the form of a royal Zulu kraal perched atop a hill amidst the rolling KwaZulu-Natal sugar cane fields. 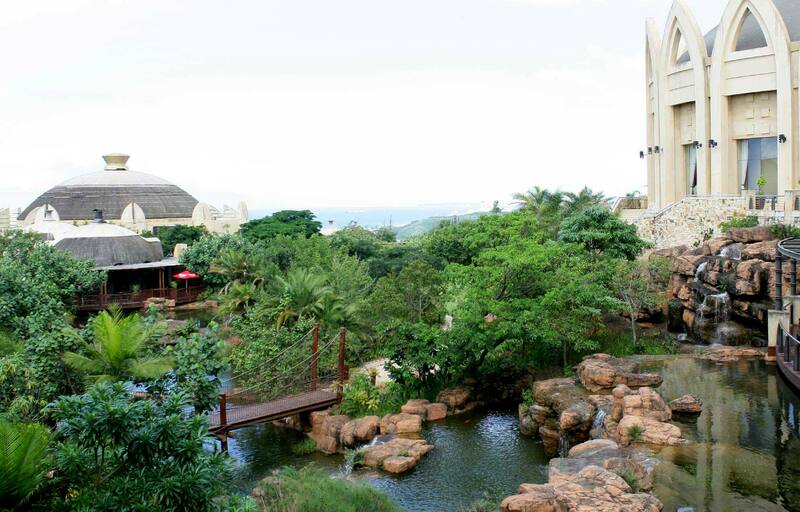 A river emerges from either side of the building, with waterfalls and cascades tumbling over boulders and rocks, merging levels and meandering through lush indigenous gardens, coming to rest in natural pools. Coral trees vibrate with red flowers, while Date palms and rock aloes contrast starkly against the African sky. 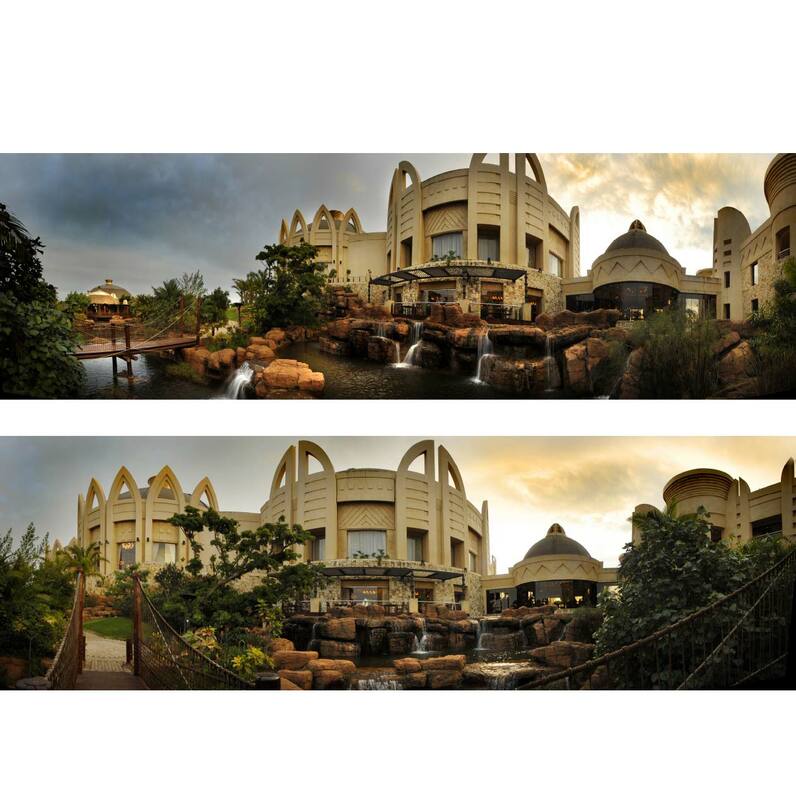 Timber bridges, geometrically-patterned paving and Zulu artefacts immerse visitors into this royal kingdom, set in the rich north-coast landscape.